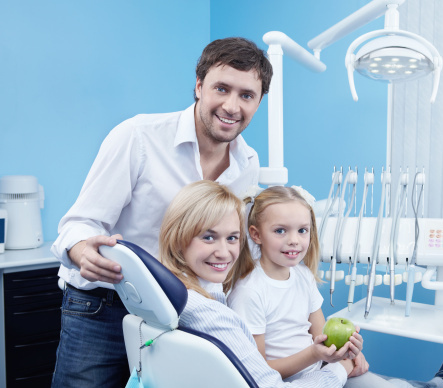 When it comes to preserving your oral health, general dentistry is your friend. Any type of disease in your mouth can metastasize to the point where it affects the health of your entire body. Once this happens, it’s hard to reverse the effects without receiving care from a primary physician. All of this can be prevented by a simple visit to us. Each patient’s dental situation will be different so treatment will vary for all. Maybe you need dental implants for missing teeth that have bugged you for years, or maybe your pearly whites could use a cleaning as it’s been too long since you last had one. No matter which type of service you choose, you can rest assured that our team will deliver fantastic results. We’re all about providing a comfortable experience, too. When you’re comfortable, you’re relaxed. And, when you’re relaxed, dental procedures can be done swiftly and without interruption. The last thing we want is to keep you in our dental chair all day. A quick in-and-out procedure is what we want so you can get back to living life uninterrupted. Our general dentistry services can put you in the driver’s seat to keeping you and your family’s oral health in check. Are you ready to have the smile you’ve always wanted? Your family will thank you later. Visit our Brookfield, WI office and receive fantastic general dentistry service with a caring hand. We’re happy to serve our neighbors in Elm Grove, Milwaukee, Pewaukee, Waukesha, New Berlin and beyond.